Nepal is a country whose natural beauty has long made it a destination for travellers with an adventurous streak – picture Himalayan peaks, flower-filled valleys, and other stunning scenery from the Roof of the World. But beyond the mountains, Nepal is also host to wild and verdant national parks. 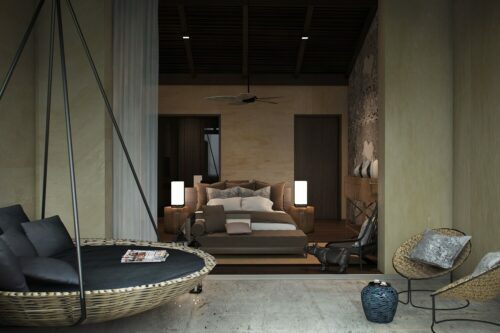 Among the country’s protected lands, Chitwan National Park particularly special – and for an up-close-and-personal experience of the park, it’s hard to do better than a stay at the newly opened Taj Meghauli Serai. Stretching across 360 square miles and officially established in 1973 (making it Nepal’s very first national park), Chitwan was awarded UNESCO World Heritage status in 1983. Its huge array of wildlife is one of its biggest claims to fame, with highlight species including the severely endangered greater one-horned rhinoceros. As well as the rhinos, the park is also home to Bengal tigers, leopards, sloth bears, kingfishers, and more than 500+ species of native birds. In short, there are few better places for wildlife spotting in all of Nepal. Now, for visitors wishing to spend a holiday discovering this stunning region in the Himalayan foothills, there’s a new opportunity for a luxury stay. 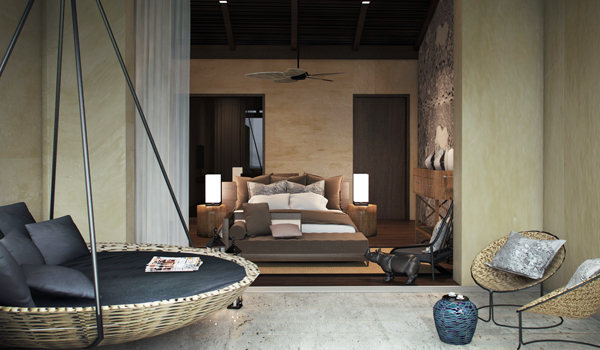 The Meghauli Serai – a property in the Taj Safaris portfolio, and the first to open in Nepal – is a sparkling new addition to Chitwan National Park, and is ideal for those after both pampering and adventure. 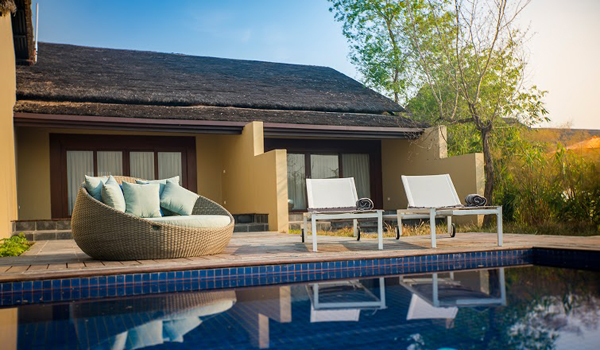 Comprising a Presidential Suite, 16 independent villas, and 12 contemporary rooms, Meghauli Serai overlooks the Rapti River, and is integrated into the beautiful landscape of the park. Villa guests can cool off in private plunge pools, while those staying in the Presidential Suite can also drink in views from a private viewing deck. And all guests can look forward to the high standard of Taj hospitality, whether they choose to enjoy a private romantic dinner, lounge around a central fireplace, dip into the infinity swimming room, or seek relaxation in the venue’s Jiva Spa. Beyond the luxury, Meghauli Serai is also one of the best options in the region when it comes to exploring Chitwan National Park’s wildlife. Twice-daily jeep safaris, guided by the resort’s naturalists, offer an accessible way to chart the park’s dense foliage. The adventurous can go on walking safaris for truly up-close nature experiences (including, for lucky explorers, one-horned rhinoceros sightings). 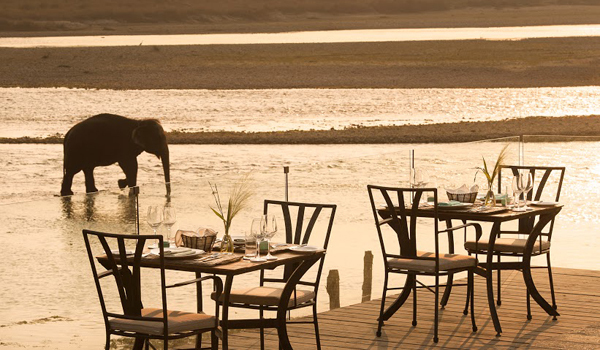 And private elephant safaris are perhaps an even more memorable way to delve into Chitwan’s heart. A number of other cultural and active experiences are designed as a passport into this rich region. 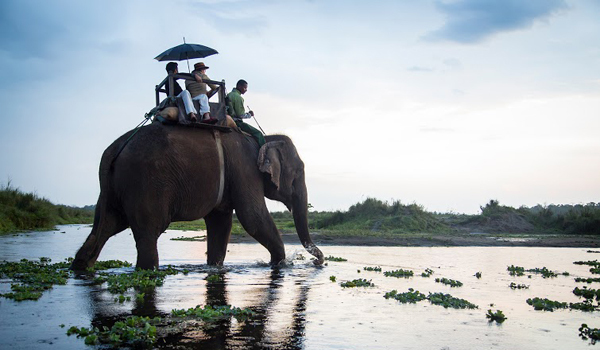 Canoe trips of the Rapti River offer up Himalayan foothill views, while elephant bathing and feeding sessions are another way to enjoy the company of these gentle giants. Guests can also visit a traditional Tharu village to learn more about the region’s traditions and culture. 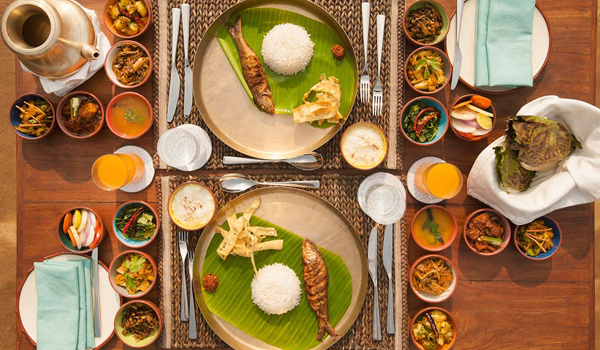 Nature-lovers will be pleased to learn about Taj Safaris’ dedication to sustainable tourism. The hotel sources ingredients from its own organic gardens, and works closely alongside the park and local communities to help enforce conservation efforts. When combined with the hotel’s comforting amenities – and its unbelievable setting – it’s hard to imagine a better option for visitors to this wild region.